Five Important Facts About Permanent Makeup | Timeless Skin Spa | Ca. When I had my eyebrows done, I chose an artist based on low price point, proximity to my home, and personality. These were three of the worst reasons to choose someone to permanently tattoo my face. 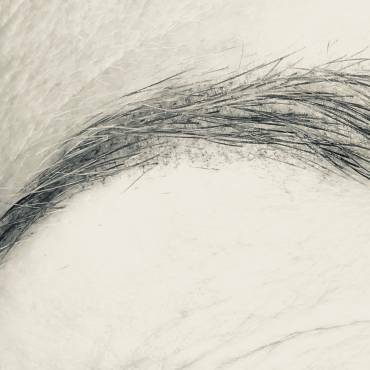 I’m pleased with my brows, but only after having to go to two separate follow-up appointments to fix uneven lines. Part of being satisfied with them is only because the artist did exactly what I asked for – whether or not it was the best option. Five years later I see there were a slew of different options a good artist would have sat down and discussed with me. Here’s where it went wrong; the first artist had no formal training in the art of applying permanent makeup. This service is not regulated in the state of California, and anyone with a couple of hundred dollars and a tattoo gun can legitimately set up shop and claim to be a professional. 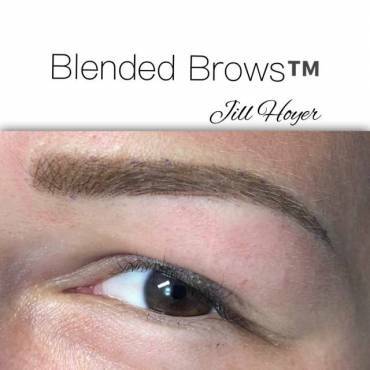 When I found Jill Hoyer, I was more than happy to pay for her skills, experience, and expertise. The result? My lips were perfect the first time around, natural looking, and any touch ups have been minimal. 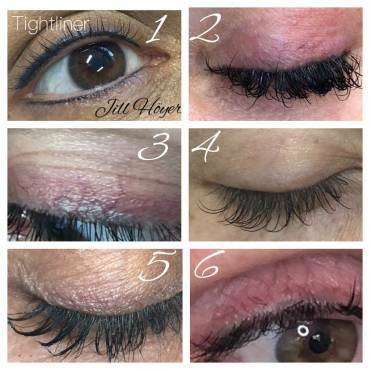 No matter what you choose to get done, eyeliner, eyebrows, or lips, the end result will only be as good as how well you take care of the area in the following days after the procedure. Though your artist may do a brilliant job, not taking car of the skin on your lips by not using Aquaphor, eating spicy foods or hot liquids, and especially smoking, will cause issues with healing time and evenness. A few days without smoking will do you better than needing to keep following up. Your face is important. You live with it everyday, so getting permanent cosmetics is a big deal. I can tell you that it will more than likely be something you’ll love forever, but you need to follow your best instincts. If there’s anything you’re still uncomfortable about, or need more clarification on, ask your artist! Making you happy helps both of you, so don’t be afraid! Let’s face it, in a very real way, permanent cosmetics are tattooed on you. While you won’t b able to feel it so much after the anesthetic is applied, the healing process can be intense. The good thing is, it’s only a few days for a lifetime of looking good from the moment you get up in the morning. After the initial process, some individuals may not feel that a follow up is needed, but it never hurts. Your artist can see things that can use some touch up much more clearly than you may be able to, so it’s best to give them the courtesy of helping you keep your new look at its very best. You’ve made the dive and gotten your permanent makeup done, the best thing todo now is sit back and wait for the compliments. The feeling of not spending your morning doing makeup that only ends up smearing is unbelievable! I have my eyebrows and lips done, and I’m ready to take the plunge and get my eyeliner done! Looking your best is the greatest habit around! If you or someone you know is interested in permanent makeup, please feel free to call Timeless Skin Spa to set up a consultation, or stop by anytime. They’d love to see you!